When you’re ready for a change of scenery, a huge dose of relaxation, and a lot of fun, it’s time to make your way to Cabo San Lucas, Mexico! With its eye-popping landscapes, beautiful beaches, and exciting activities, it’s the perfect place to escape to. Breathless Cabo San Lucas Resort & Spa provides a fun yet relaxed social scene. The resort is located on Medano Beach, one of the only swimmable beaches in the area. Plus, their signature Unlimited-Luxury® program allows guests to indulge in deluxe services and amenities with zero restrictions! 169 luxurious suites offer 24-hour room service, fully stocked minibar, flat screen TV, and inviting balconies or terraces with lovely views. You’ll have a space to call your own whenever you need to recharge from the day’s events. As a member of the Xhale Club, you can enjoy additional perks such as an upgraded suite, access to a private lounge area, VIP host service, and more. The incredible world-class cuisine at Breathless Cabo San Lucas is a real treat. Each restaurant offers its own unique setting, perfect for meeting new friends. Options ranging from casual beachside dining to fine dining will delight your taste buds with Mexican flavor, savory tapas, seafood, and more. Four bars and lounges serve endless beverages for you to enjoy anytime, day or night! A long list of resort activities will have you going non-stop. Whether you’re looking to snorkel among colorful marine life, show off your competitive side in beach volley, or brush up on your mixology skills, there’s something for all interests. The Spa by Pevonia® is an ideal place to unwind and renew with lavish massages, facial treatments, and body wraps. Fill your need for adventure and book an offsite excursion (which may come at an additional cost). From tours of the famed El Arco to zip lining through tropical landscapes, your experience in Cabo San Lucas will qualify as nothing short of amazing! Book and SAVE on your vacation: Breathless Cabo San Lucas Resort & Spa packages are available at All Inclusive Outlet. 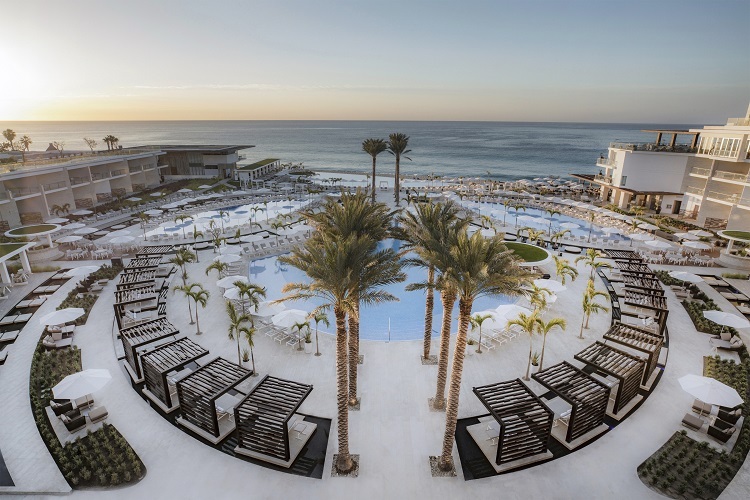 From the people who brought you Cancun’s #1 adults-only all inclusive resort and the best luxury hotel in Mexico, comes the all-new Le Blanc Spa Resort Los Cabos, where you’ll enjoy a picturesque west-coast retreat between the desert and beach! Luxurious accommodations offer sophisticated yet relaxed decor and 24-hour room service for your comfort and convenience. Personalize your stay with selections like specialty pillows and aromatherapy and enjoy treats from your minibar and liquor cabinet. You’ll even have a personal butler who’s there to make sure your every wish is granted! Dining venues feature world-class menu options prepared by notable chefs. Choose from seafood, Italian and French cuisines, brick-oven pizzas, and much more. You can also relax with a cocktail to watch the big game or join others for dancing at Blanc Stage. Feel the laid-back vibes of Blanc Lobby where top-shelf drinks are served while a piano plays in the background. This adults-only Cabo resort presents opportunities to enjoy as much downtime or heart-pumping activity as you want. Pilates, spinning classes, and a fitness center welcome travelers who like to keep a regular workout routine. And the world-class Blanc Spa is perfect for those who need to unwind and experience total relaxation. 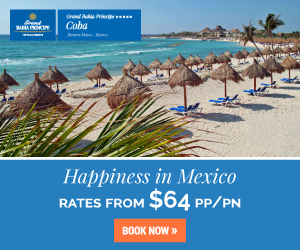 You also might want to consider booking an offsite tour or excursion to snorkel, swim with dolphins, tour the city of San Jose del Cabo, and more to explore your beautiful surroundings in Mexico! Book and SAVE on your vacation: Le Blanc Spa Resort Los Cabos are available at All Inclusive Outlet. 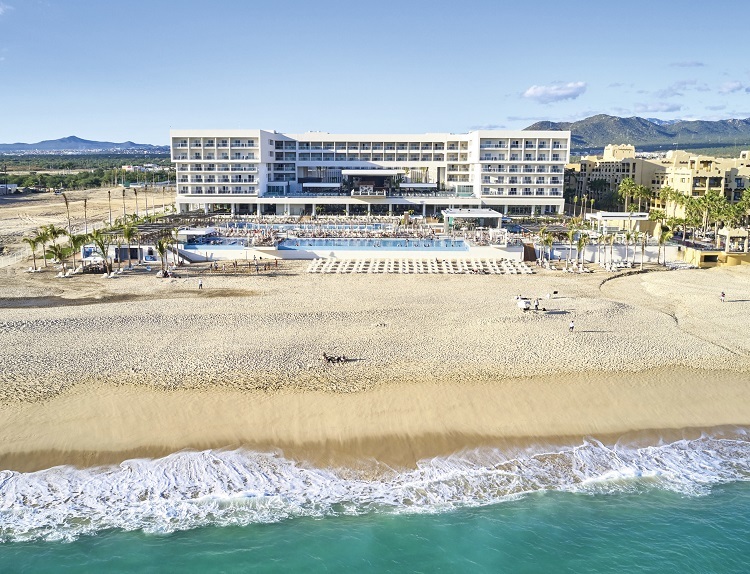 A breathtaking vacation on El Medano Beach couldn’t get much better at the classy Riu Palace Baja California! The start of your experience begins in your room or suite. You’ll enjoy every moment of your stay with amenities like free Wi-Fi, lounge area, balcony or terrace, and more. Inspiring garden or sea views will greet you every morning when you wake up in paradise. 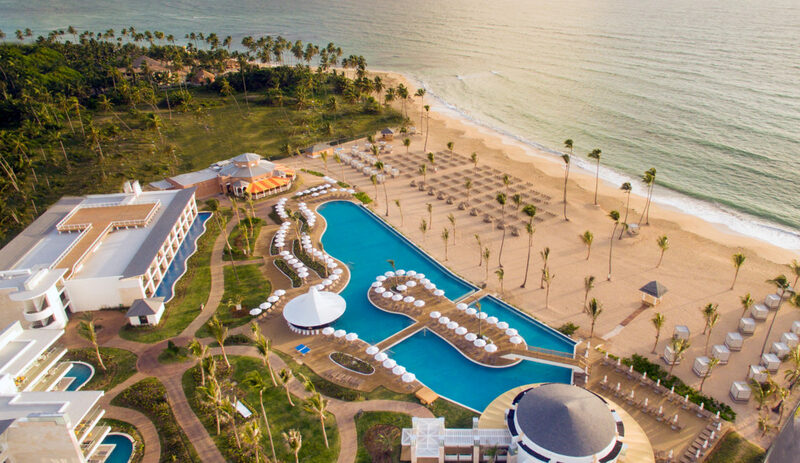 A wide array of complimentary culinary selections from themed buffets and a steakhouse to Japanese and Indian cuisines make for a mouthwatering experience at this brand new all inclusive resort. Snacks are offered 24 hours a day along with local and international beverages to quench your thirst at all hours. 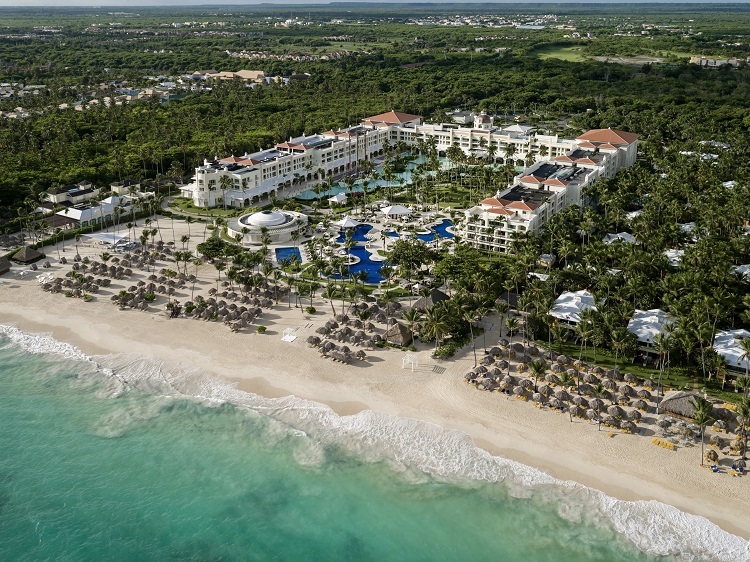 Four hotel pools offer plenty of chances to cool off, while the beach is the ideal spot for sunbathing Themed pool parties are held throughout the week and live music will keep you light on your feet as you celebrate your time in Mexico. 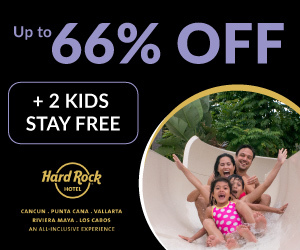 Plus, the Splash Water World water park and Pacha discotheque are just a short distance away at the Riu Santa Fe for some added fun to your stay! When you need to relax and rejuvenate, head to the wellness center and enjoy beauty treatments and massages. 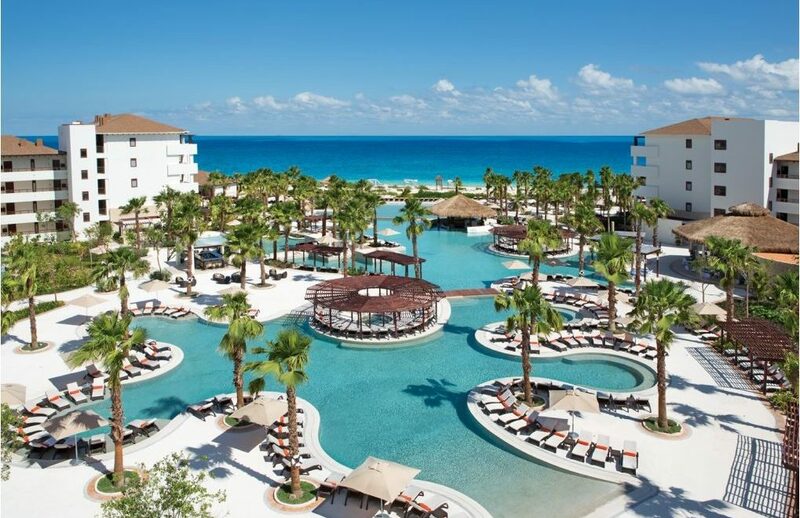 Your Cabo vacation will be exactly as you like it at this all inclusive oasis. Book and SAVE on your vacation: Riu Palace Baja California are available at All Inclusive Outlet. 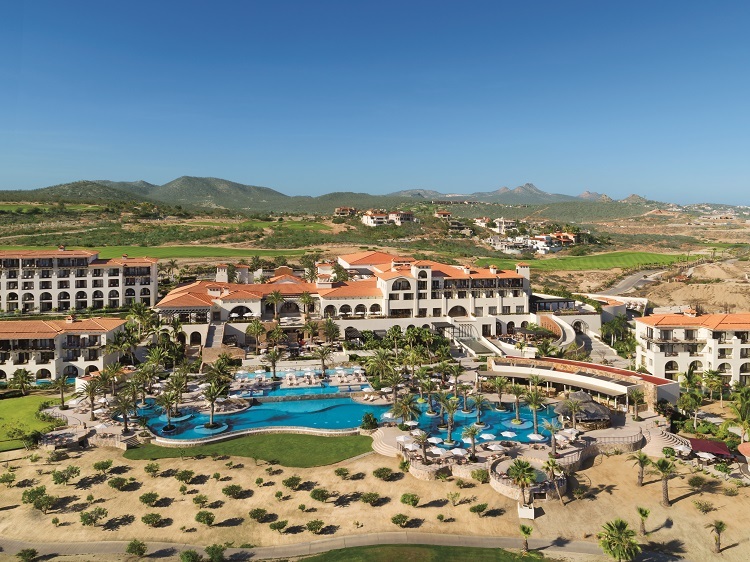 If you’re looking for stunning views as the backdrop to your all inclusive getaway, Secrets Puerto Los Cabos Golf & Spa Resort is the place for you. This AAA Four Diamond resort offers seclusion and Unlimited-Luxury® along the Pacific coast. Find an adults-only sanctuary in a beautiful room or suite where you can enjoy peaceful moments. You’ll feel at ease in a bright, open space with amenities like 24-hour room service, pillow menu, whirlpool bathtub, and more. You can even enhance your stay as a member of the Preferred Club. Upgraded luxuries from personalized check-in and check-out to direct swim-out access add to a memorable experience in Mexico! Cuisine at Secrets Puerto Los Cabos is extensive and varied. You’ll always have a delicious meal to satisfy your appetite, whether it’s seafood, grilled specialties, or international cuisines such as authentic Mexican, Asian, and Italian. Drinks are always flowing at four bars and lounges around the resort where you can order your favorite tropical cocktail, wine, or beer. Activity and entertainment options are also plentiful at Secrets Puerto Los Cabos Golf & Spa Resort. Spend your morning lounging by the infinity pool followed by a wine or tequila tasting. Get your blood flowing at the fitness center or in a game of beach volleyball. In the evenings, theme nights, movies on the beach, and more provide hours of entertainment for unforgettable moments in Los Cabos! Book and SAVE on your vacation: Secrets Puerto Los Cabos Golf & Spa Resort are available at All Inclusive Outlet. Romance is in the air at Pueblo Bonito Pacifica Golf & Spa Resort! 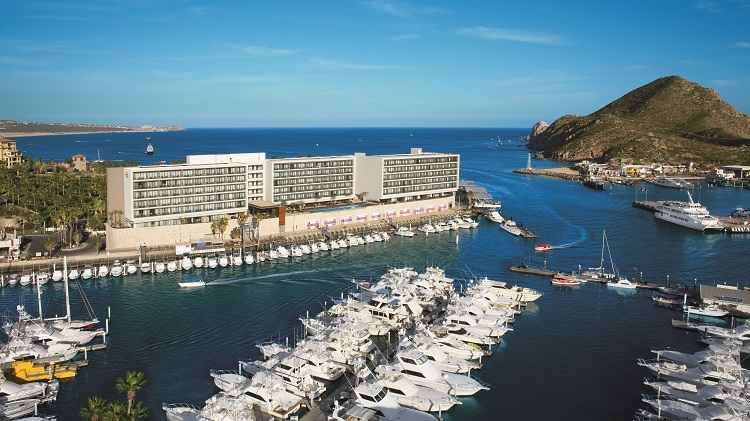 This luxury resort is tucked away on a beautiful beach yet provides convenient access to Cabo’s lively downtown area. Your elegant guestroom is a beautiful oasis where you go for total comfort and relaxation. Lavish in-room amenities include furnished balconies or terraces, a minibar that’s restocked daily, complimentary Wi-Fi, and more. If you’re in one of the 47 Towers Rooms, you’ll be treated to pool or ocean views and upgraded amenities like 24-hour butler service and access to an oceanfront VIP Lounge! Delectable dining menus abound at the resort’s gourmet restaurants. Fresh seafood and Mediterranean-style cuisine are bursting will flavor while tapas and sweet pastries make great snacks. You can even sit by the pool and order a burger or sandwich paired with a refreshing beverage at your leisure. And remember, the option to dine in the comfort of your suite is always available with attentive room service. Have some authentic fun by attending a beachside Clam Bake, taking a cooking class, or joining the chef by the sea to catch some fresh fish. For opportunities to rest and relax, Armonia Spa offers a wellness menu featuring massages, body treatments, beauty services, and more. When you’re not being pampered, take to the sands of a private beach for complete serenity as you gaze out onto sparkling blue waters. As a guest at Pueblo Bonito Pacifica, you’ll also have exclusive access to the Jack Nicklaus Signature course at Quivira Golf Club. Play a relaxing round of golf while you experience more oceanfront views and proximity than any other course in Cabo San Lucas. And if you book your stay between late-September and mid-December, you may have the chance to witness sea turtle hatching! Book and SAVE on your vacation: Pueblo Bonito Pacifica Golf & Spa Resort are available at All Inclusive Outlet. Cabo San Lucas is an excellent choice for the adults-only, all inclusive getaway you crave! 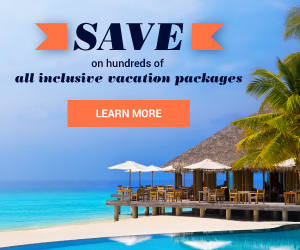 For more options, check out All Inclusive Outlet today for the best discounted resort packages so you can book a memory-making vacation ASAP!